This is an amazing collection of our most indulgent marshmallows. 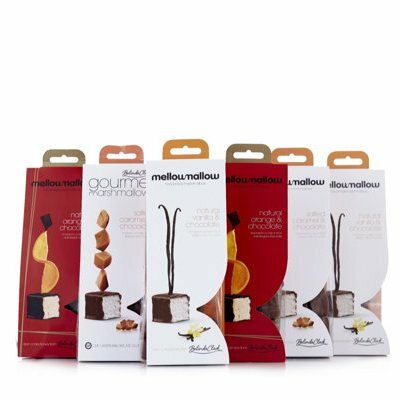 a set of six sharing bags of hand-made gourmet marshmallows enrobed in Belgian chocolate. Two sharing bags of Milk Chocolate enrobed Vanilla Marshmallow - a beautiful doft vanilla marshmallows perfumed with real madagascan vanilla. 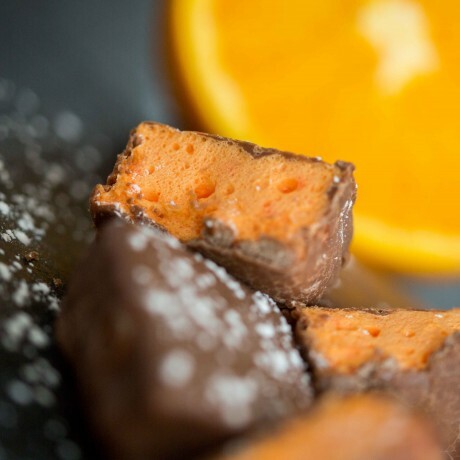 Two sharing bags of Dark Chocolate enrobed Orange Marshmallow - the slightly bitter dark chooclatre shell is the perfect foil for the sweet orange marshmallow, made with pure orange oil. Two sharing bags of Milk Chocolate enrobed Salted Caramel Marshmallow - the caramel is made with butter, sugar and cream and lightly salted with salt Guerande - a beautiful combination. See individual marshmallow flavours for ingredients and nutrition. Please see individual flavours for ingredient info. Perfect gift which was really delicous! Very efficient prompt service . Very efficient prompt service . Well packaged item , that is a gift so haven’t feed back on taste yet . Had the toasted marshmallows at a dinner party, definitely got the ‘wow’ factor. Everyone enjoyed the experience. I shared the coconut marshmallows with my two sisters. I shared the coconut marshmallows with my two sisters. Must admit that I did have the bigger share. They both enjoyed the flavour, but did miss the toasted coconut which they have had on the outside from other brands. I am sharing the others flavours with my son and his family this weekend. One member is a coeliac and I am sure she will be pleased to know that they are gluten free. My daughter in law is weight conscious and will love the fact that they are low fat. I will let you know what they say if you send me another feedback message. Lovely presentation for a gift. Although I am a big fan of Belinda's Marshmallows these are by far my favourite! Such a lovely treat in the winter! Love Love Love them! Loved them. Light fluffy and full of flavour. You won't be disappointed. The best Gourmet Marshmallows I've had, a must buy. 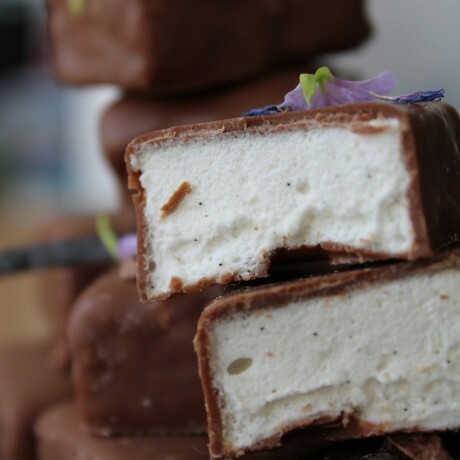 Handmade gourmet marshmallows: 100% natural, 100% addictive.